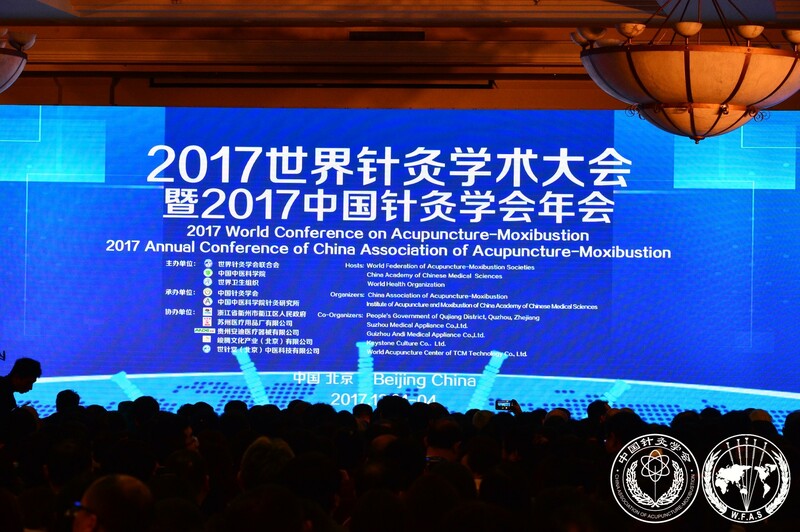 On December 3rd, 2017 World Conference on Acupuncture-Moxibustion of World Federation of Acupuncture-Moxibustion Societies (WFAS) and the 2017 Annual Conference of China Association of Acupuncture-Moxibustion (CAAM) kicked off. 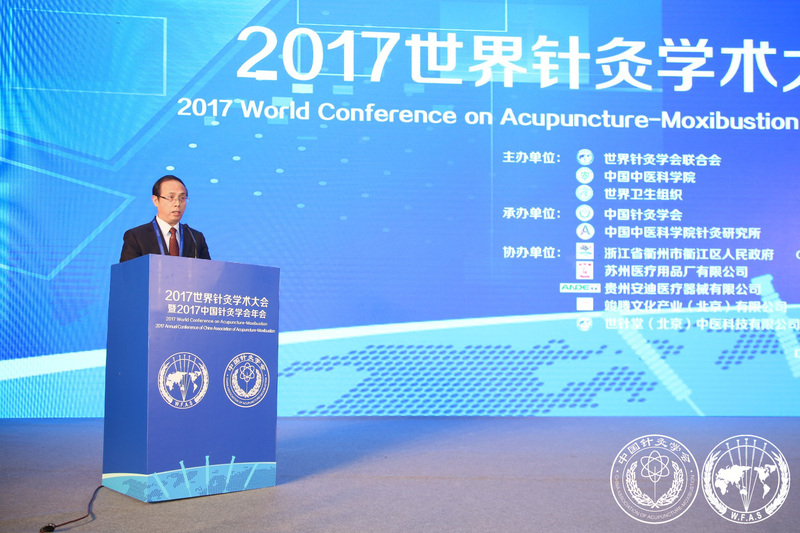 The theme of this conference was World-Acupuncture-Health. Wang Guoqiang, Vice Minister of National Health and Family Planning Commission and Director of State Administration of Traditional Chinese Medicine of P. R. China; Dou Enyong, Vice President of China NGO Network for International Exchanges; Han Jisheng, Academician of the Chinese Academy of Sciences, Professor of Boya, Peking University; Shi Xuemin, Academician of Chinese Academy of Engineering, Chinese National Master of Traditional Chinese Medicine (TCM); Liu Depei, Academician of Chinese Academy of Engineering and Co-chair of Inter-Academy Medical Panel; Zhang Jin, Representative of Acupuncture-Moxibustion of TCM, an Intangible Cultural Heritage of Humanity; Zhang Qi, Coordinator of Traditional, Complementary and Integrative Medicine Unit, World Health Organization; Matthanov Irinchi, Co-chair of the Committee of Experts on Traditional Medicine of the State Duma of Russia; Yang Shuxuan, Director of Academic Department, China Association for Science and Technology; Shen Yuandong, Vice Chairperson of the Technical Committee of Traditional Chinese Medicine, International Organization for Standardization (ISO/TC249); Yang Longhui, Vice President of China Academy of Chinese Medical Sciences; and Liu Baoyan, President of WFAS and CAAM were among the honored guests who attended the opening ceremony. 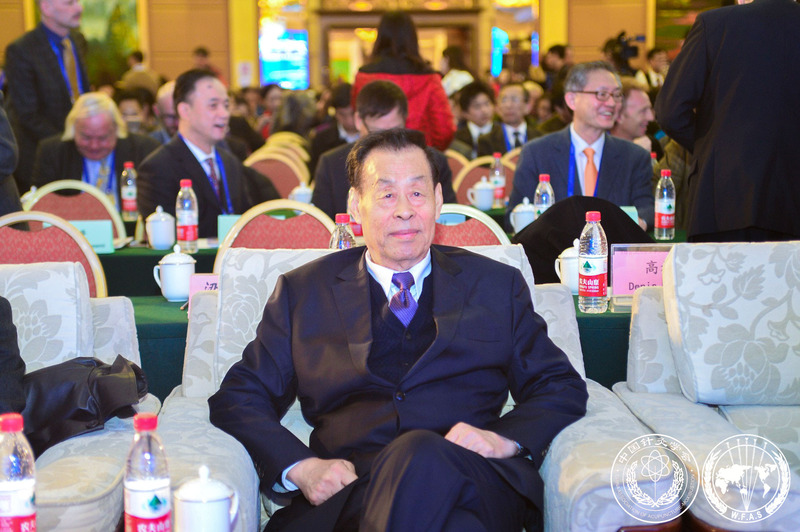 Others who also attended the opening ceremony are Deng Liangyue, Former President of WFAS; Li Weiheng, Honorary President of CAAM and Honorary Presidents, Vice Presidents, Executive Committee Members of WFAS, representatives from member societies of WFAS, and Vice Presidents of CAAM. 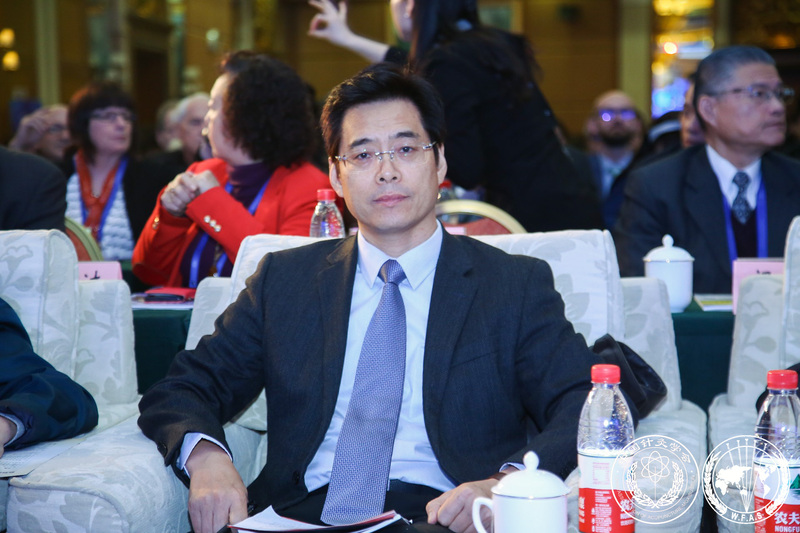 Liang Fanrong, newly-elected Vice President of WFAS and Vice President of CAAM, presided over the meeting. 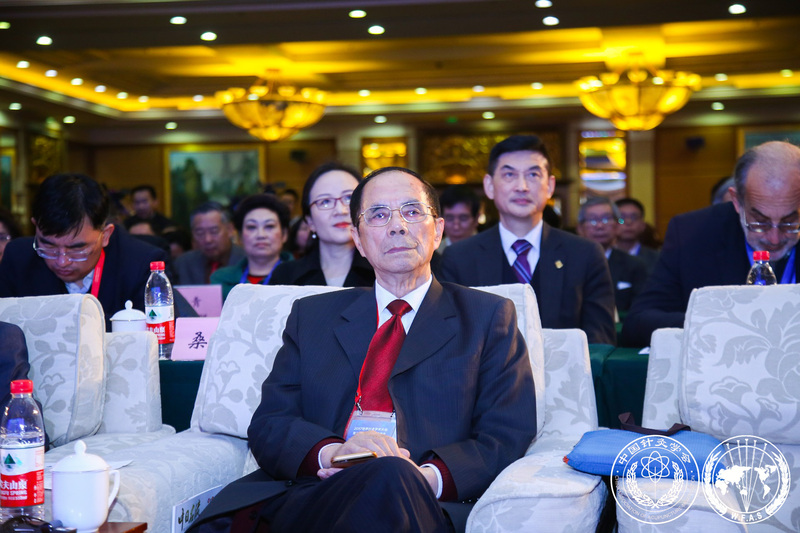 Liang Fanrong, Vice President of WFAS and Vice President of CAAM, presided over the meeting. 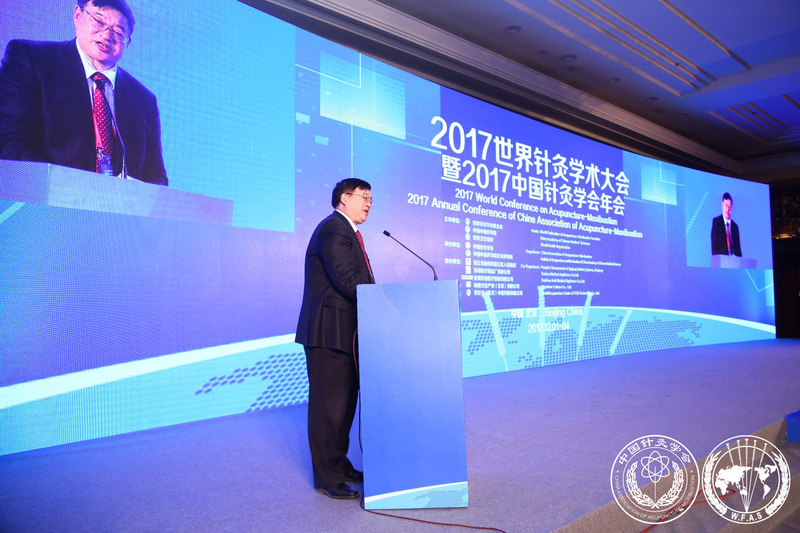 Liu Baoyan, WFAS and CAAM President, gave a welcome speech. 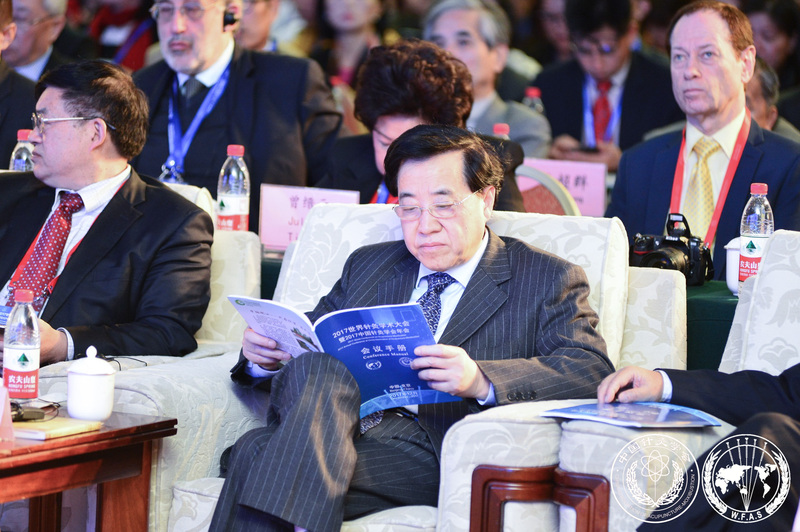 Vice Minister Wang Guoqiang spoke highly of the achievements of WFAS over the past 30 years. At present, WFAS has 215 member societies from 60 countries and regions, involving nearly 400,000 acupuncturists worldwide. In the past 30 years since the establishment of WFAS, it has held more than 40 international symposiums and conferences, organized the formulation of four international standards such as “Disposable Acupuncture Needles”, led several researches on “International Multi-center Clinical Research on Acupuncture and Moxibustion for Tennis Elbow”, “Investigation on International Acupuncture-moxibustion Legislation”, “The Belt & Road Initiative on Acupuncture-moxibustion", supported the establishment of an international registration platform and case registration platform for clinical researches of acupuncture and moxibustion, laying a foundation for the further development of international acupuncture and moxibustion scientific researches. 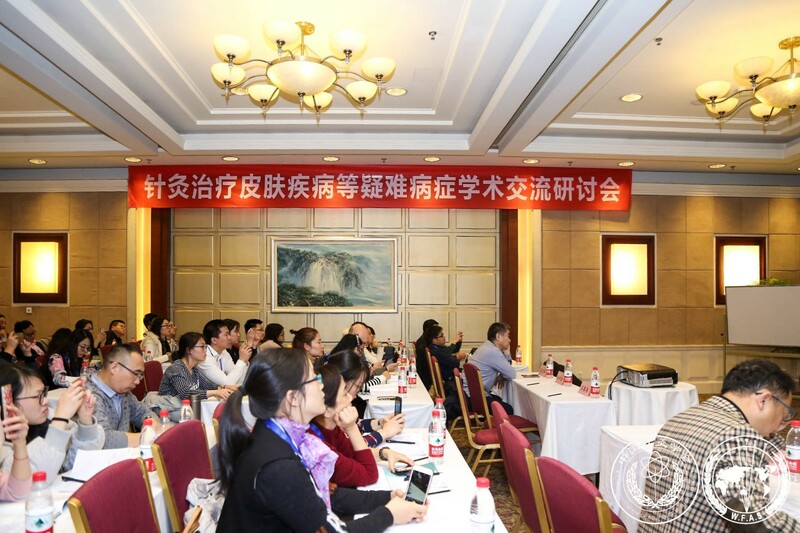 Led by WFAS, acupuncture tour has been into 24 countries during the past 10 years since 2009, and has helped to introduce Chinese culture and to promote acupuncture development. 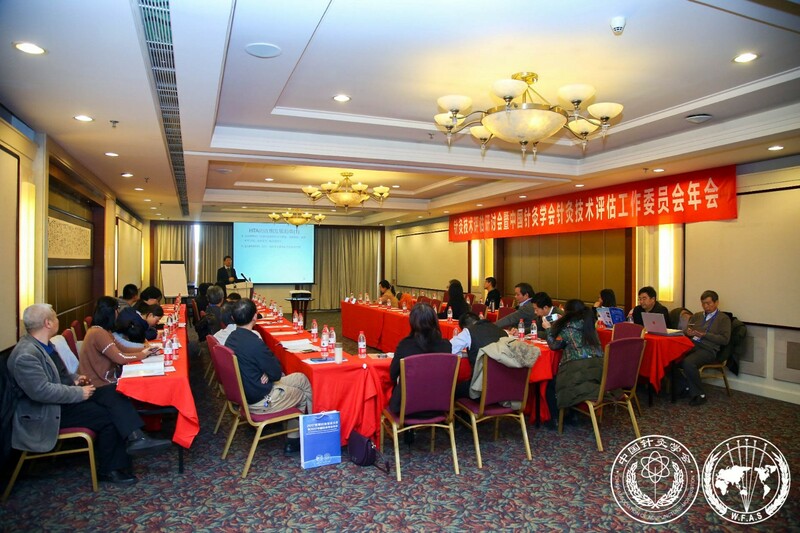 The publication of scientific research results by Chinese experts in internationally renowned scientific journals indicates that acupuncture research in China has gradually impacted the international acupuncture and moxibustion scientific researches. 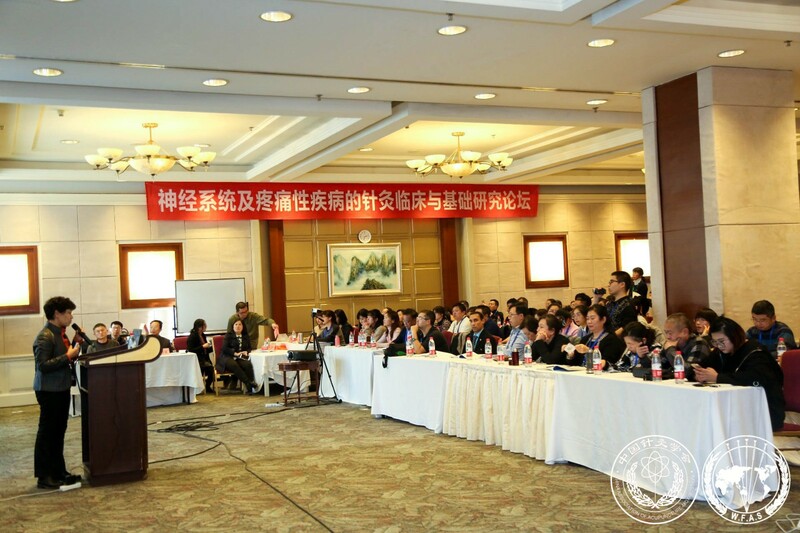 Wang Guoqiang, Vice Minister of National Health and Family Planning Commission and Director of State Administration of Traditional Chinese Medicine, gave a speech. 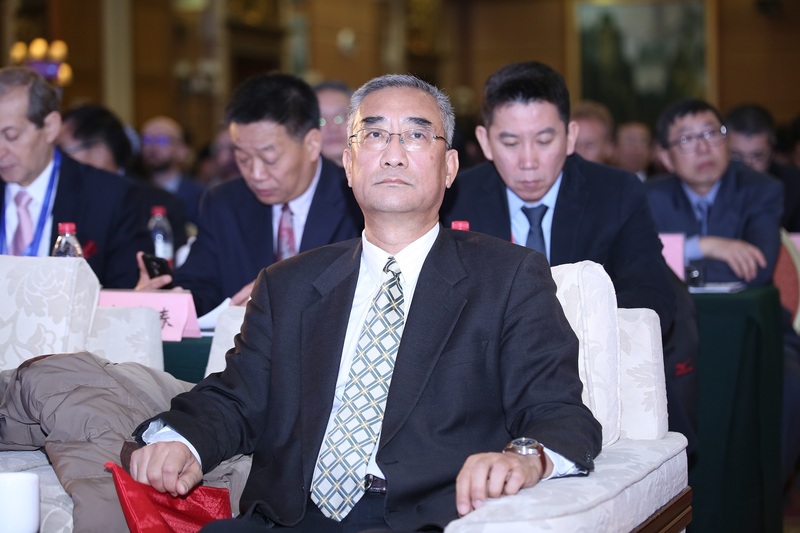 In his speech, Vice Minister Wang Guoqiang proposed four suggestions on the development of WFAS: Firstly, to strengthen policy dialogue, and to integrate into the health system; secondly, to adhere to the TCM essence, and to keep academic innovations; thirdly, to strengthen the standardization, and to deepen the applications; and lastly, to expand education exchanges, and to provide personnel support. 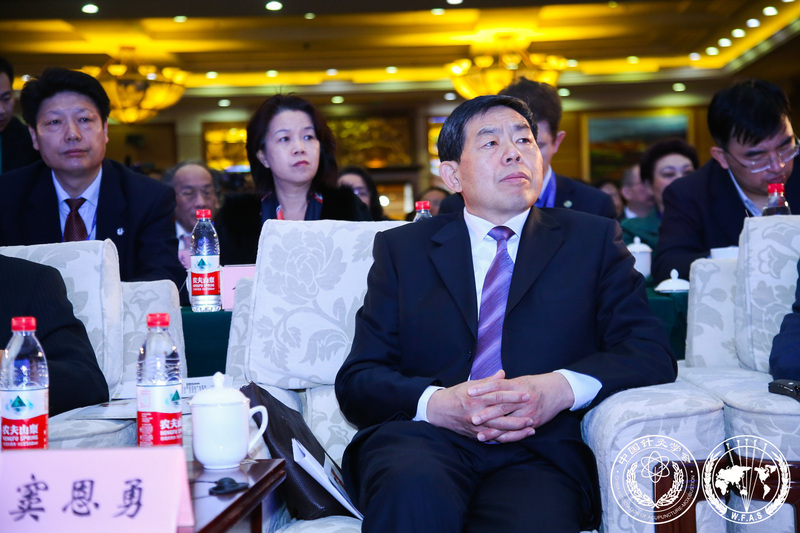 He said that the State Administration of Traditional Chinese Medicine, as the heading administration department of TCM in China, would as always attach great importance to the role of WFAS in promoting the TCM development, and would continue to support the WFAS in their future work as well as welcoming WFAS to provide more professional service in TCM development. 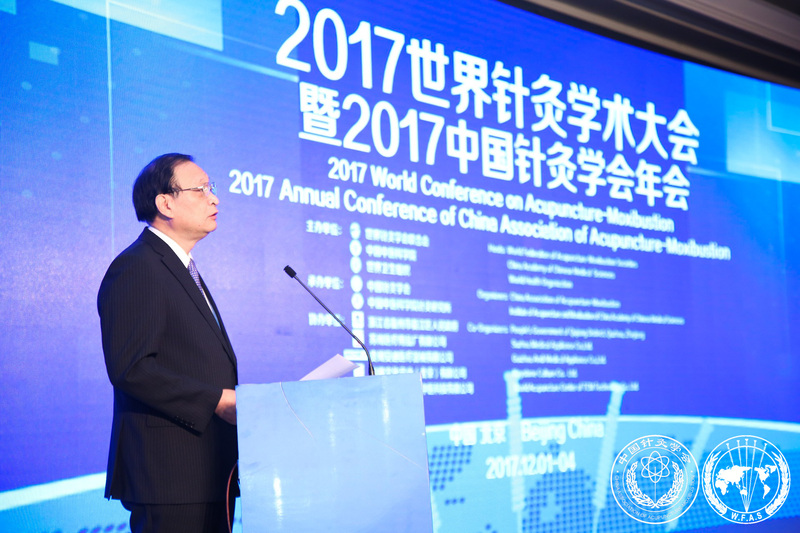 He sincerely hoped that WFAS would not forget why they started and would keep their mission firmly in mind in their work leading all the members and acupuncturists to cooperate closely in exploring the effects of acupuncture-moxibustion for promoting health and well-being, making new and greater contributions to human health. 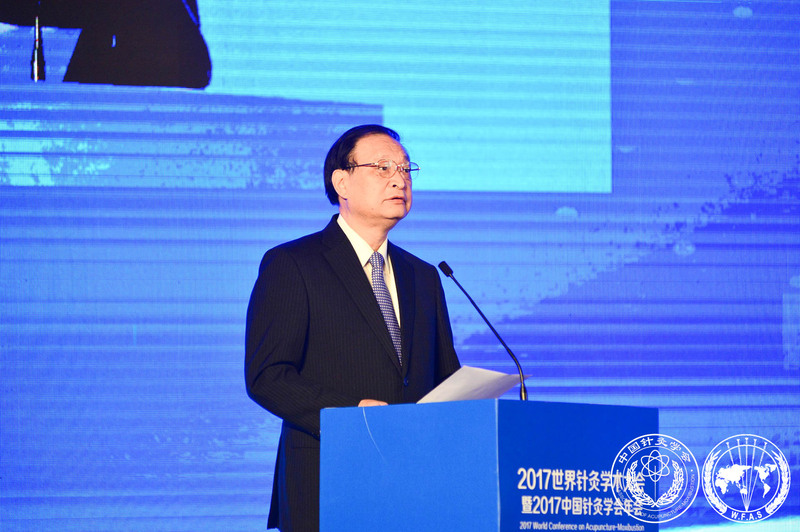 China would give full play of TCM in the Healthy China Strategy, and was ready to work with other countries in the world to deepen cooperation and exchange, promote mutual learning, and jointly carry forward, develop and make good use of TCM. 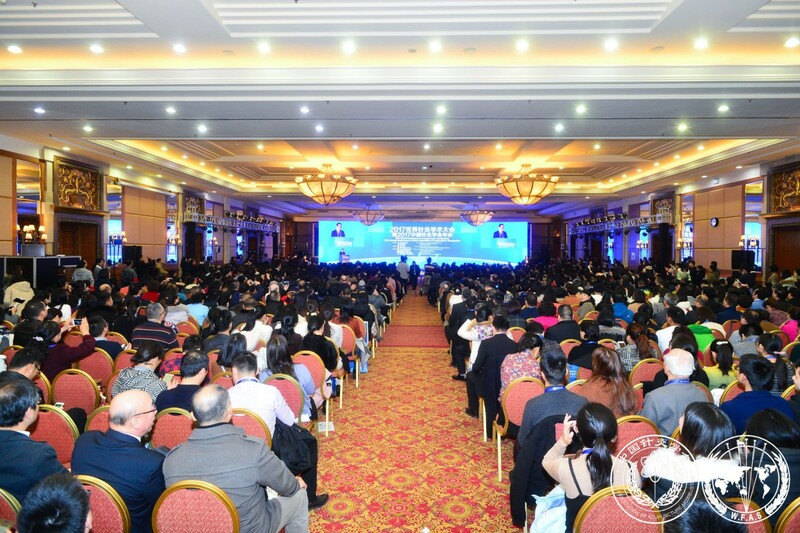 After the opening ceremony, several well-known experts gave high level keynote speeches. 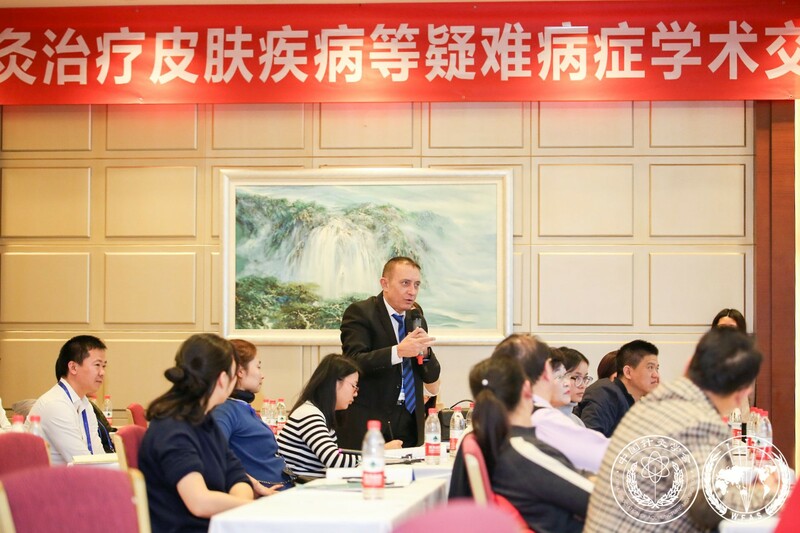 Director Zhang Qi introduced WHO Strategy on Traditional Medicine. 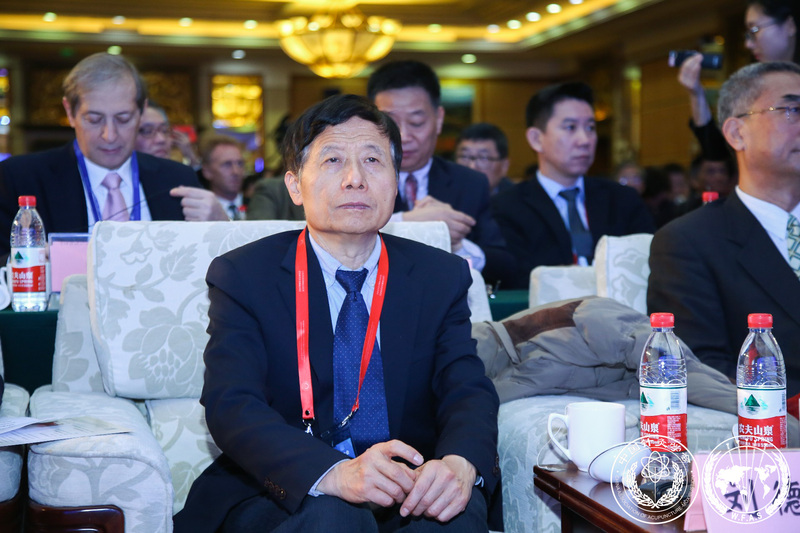 Academician Liu Depei elaborated on how the theory of TCM can be interpreted by scientific rationale. 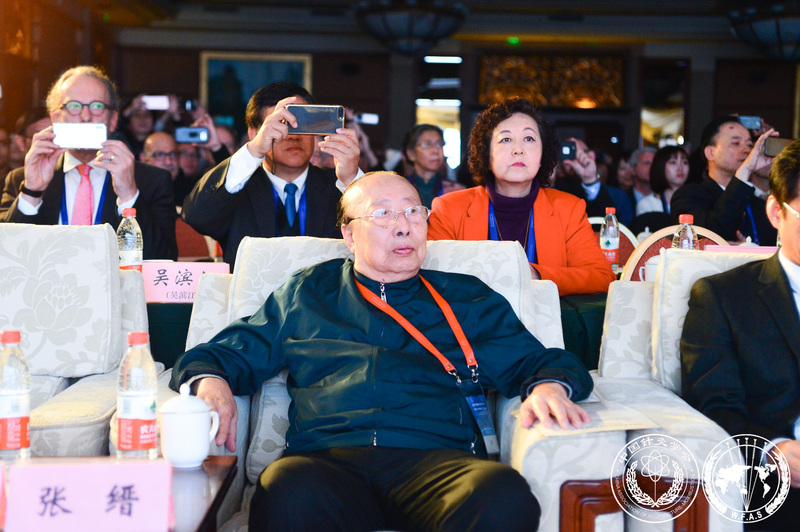 President Liu Baoyan comprehensively elucidated the ideas and methods of developing acupuncture-moxibustion. 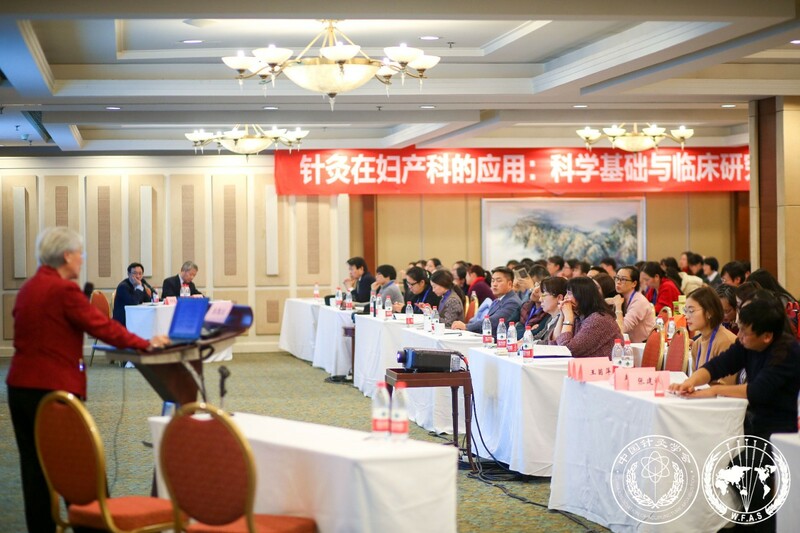 Professor Lao Lixing, Director of School of Chinese Medicine of the University of Hong Kong, analyzed the methodological issues in the development of acupuncture-moxibustion from the perspective of evidence-based medicine. 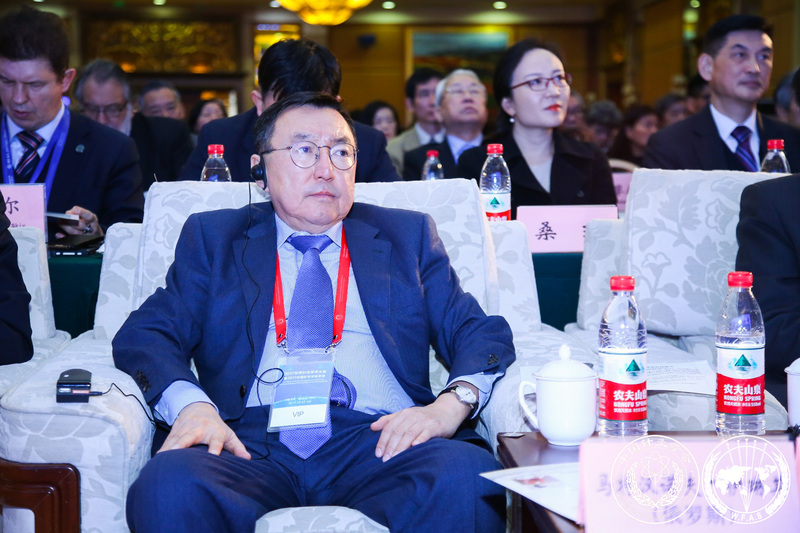 Director Wang Fuchun from Institute of Acupuncture and Tuina, Changchun University of Traditional Chinese Medicine, demonstrated the necessity and possibility of promoting acupuncture and moxibustion as a first-level national discipline. 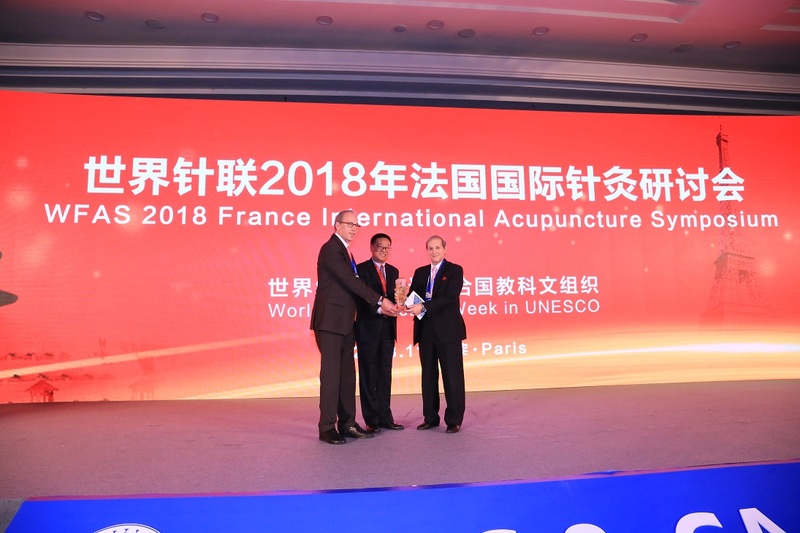 The conference announced that 2018 WFAS Symposium on Acupuncture and Moxibustion would be held in Paris, France. 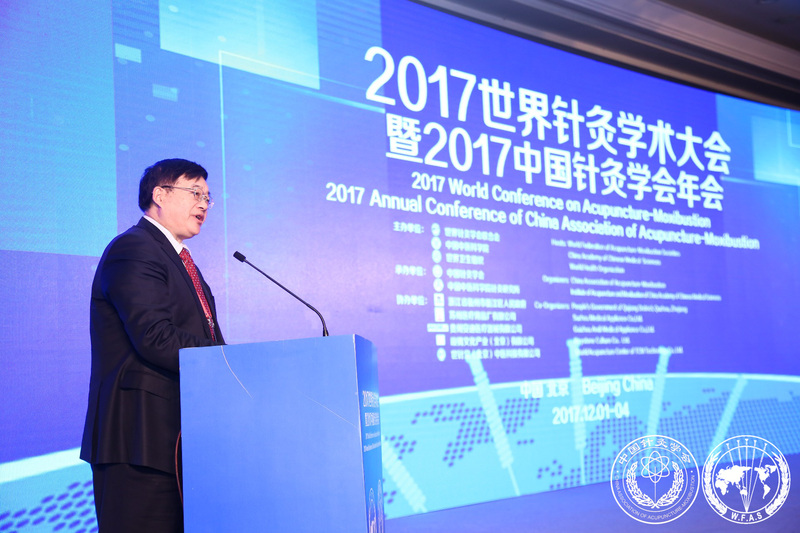 After the keynote speeches, the conference announced that 2018 WFAS Symposium on Acupuncture and Moxibustion would be held in Paris, France. 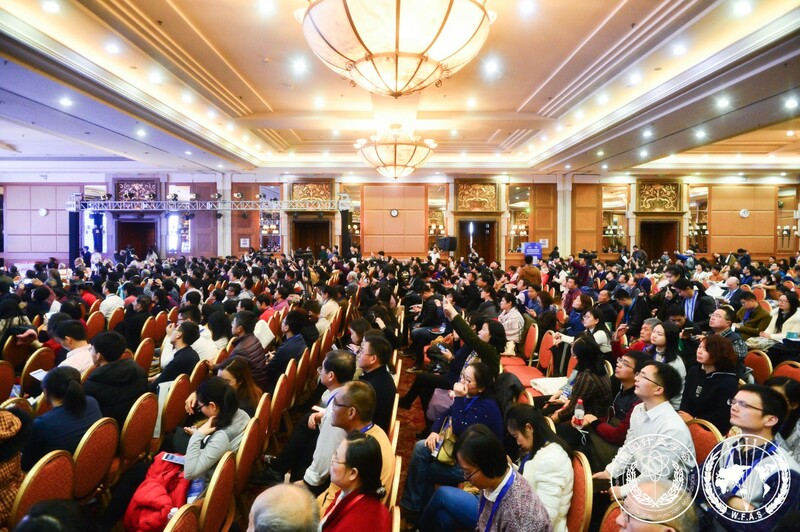 Approximately 1,500 acupuncturists from over 40 countries and regions including China, Japan, South Korea, the United States, Canada, Italy, the United Kingdom, Germany, India and France attended the conference. A total of 697 academic papers on basic research, clinical observation, education, equipment development and other aspects were submitted. 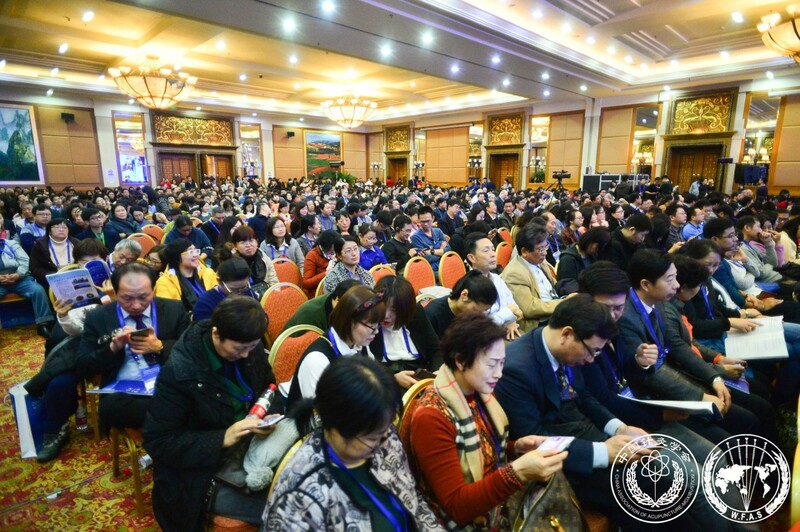 The conference had more than 10 parallel sessions covering various topics such as “Forum on Clinical and Basic Research about Acupuncture-moxibustion for Neurological and Painful Diseases”, “Forum on Clinical and Basic Research about Acupuncture-moxibustion for Neurological and Painful Diseases”, “Seminar on Acupuncture-moxibustion for Skin Diseases and Other Difficult Diseases”, “Seminar on Acupuncture-moxibustion Education Internationalization and Teaching Material Standardization”, “Seminar on Acupuncture-moxibustion Technology Assessment”, “International Forum on Ren’s Acupuncture Embedding Technique and Therapy”, “Forum on Clinical-based Acupuncture-moxibustion Technique and Efficacy Mechanism”, “Forum on Acupuncture-moxibustion and System Medicine and the Meeting of Editorial Board of World Journal of Acupuncture-Moxibustion”, “Forum on Acupuncture-moxibustion Basic Research”, and “Seminar on Pricking and Cupping”. There were more than 100 oral presentations and more than 70 poster presentations. This academic conference is characterized by rich content, distinctive theme, diverse forms, and extensive exchange. 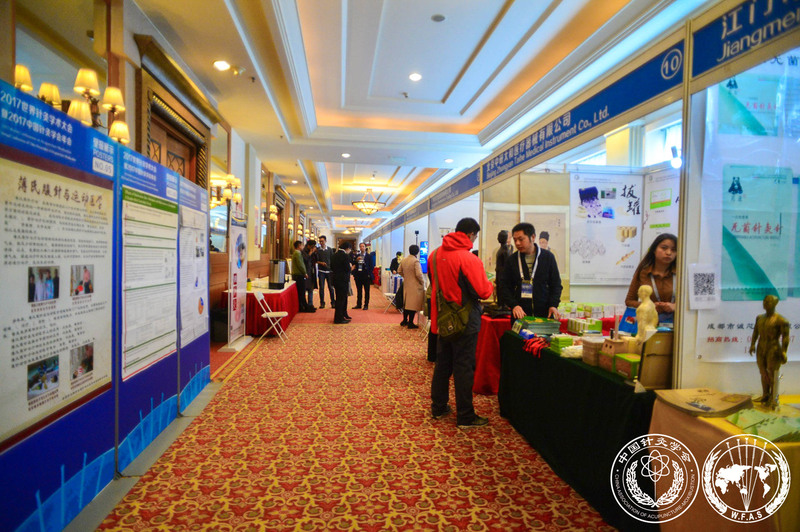 A parallel exhibition involving 27 TCM acupuncture-moxibustion manufacturers based in and outside China was held where we could see the progress in acupuncture-moxibustion products and machines in recent years. Undefined index: news_content_body /home/wwwroot/wfas/Application/Runtime/Cache/Home/858b40db5205bcb623f5744f499847ff.php 第 231 行.